YWCA Canberra operates under a strong governance model and is governed by a board of 12 company directors who define the strategic goals of the organisation. Our Board of Directors operates according to a Code of Ethics and Proper Practice. A governance manual guides the work of the Directors and establishes the relationship between the Board and the Executive Director. Our Constitution guides our work and sets out the fundamental principles under which our organisation is governed. It was last amended at the Extraordinary General Meeting on 16 May 2018. We actively seek potential Board candidates who have a belief in and commitment to our values and vision, and a commitment to work for the greater good of the organisation. We also look for potential Board candidates who possess the knowledge, expertise, experience and networks relevant to our needs. To register your interest in joining our board, please contact the Executive Director on 02 6175 9900 or canberra@ywca-canberra.org.au. Frances has a passion to see women achieve their potential and shape their communities. 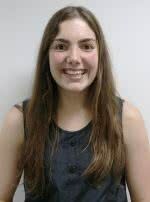 Frances’ innate leadership ability was first recognised after she left a regional high school that had a notorious reputation, and was named both Canberra Trainee of the Year and Australian Trainee of the Year. Moving from hospitality into a human resources role in the health sector, Frances’ natural drive and pursuit of excellence saw her establish her former employer as an Employer of Choice for Women, and ACT Employer of the Year for Apprenticeships & Traineeships. Frances volunteers on a variety of boards and committees. These include: WESNET, former Co-Chair of Anti-Poverty Week in the ACT, ACT Women’s Services Network, and the Canberra Business Chamber Social Enterprise Taskforce. Frances is the former Chair of the ACT Ministerial Advisory Committee for Women, and former Board Director of No Sweat Fashion. In 2015, Frances received an Edna Ryan Award for advancing the status of women in the ACT. In 2016, Frances was named ACT Leader of the Year at the Australian Leadership Excellence awards run by the Australian Institute of Leadership and Management. She also attended Commission for the Status of Women in New York in 2017 and 2018. Frances loves living in Canberra with her husband and children, and is committed to YWCA Canberra making a real and lasting difference to this community. She is conscious that the organisation stands on the shoulders of the women who have gone before, and is keen to take it strongly into the future. 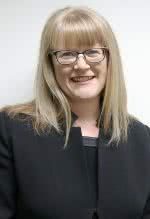 Jude first became involved with YWCA Canberra through the Board trainee program in 2004, and over the following ten years served two years as Treasurer, four years as Vice President, and also Chair of the Nominations Committee for three years. Elected President in 2016, Jude has worked closely with the CEO and the Board to strengthen the YWCA’s ability to help girls and women thrive. Jude is proud of the example the YWCA Canberra Board has set, being a well functioning and strong board currently composed of 50 per cent young women, and she is a firm believer in quotas – because they work. In addition to her volunteer commitments for the Y, Jude was recently the Founding President of the Tesla Owner’s Club of Australia and volunteers for the Food Intolerance Network. Sarah was first elected to the Board at the 2014 AGM, and re-elected at the 2017 AGM. She has a B. Environmental Management in Sustainable Development (Hons) from the University of Queensland, a Grad. Cert. in Public Administration from the University of Canberra, and a Master of Agribusiness from the University of Melbourne. In addition to her role on the Board, Sarah is a member of the Y’s Governance Committee and the Reconciliation Action Plan Working Group. 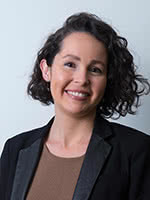 Sarah works full time at the Department of the Prime Minister and Cabinet and is a member of the University of Canberra’s Indigenous Advisory Council. Sarah believes women can do anything. 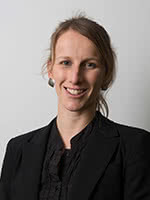 Dr Skye Saunders of the Australian National University College of Law is a leading expert in gender issues in rural Australia. Her work, Whispers from the Bush – The Workplace Sexual Harassment of Australian Rural Women (Federation Press, 2015), is the first in Australia to focus on the nature and prevalence of sexual harassment in rural workplaces. In 2018, Skye was appointed to the YWCA Australia delegation to the United Nations 62nd Commission on the Status of Women, focusing on the empowerment of rural women and girls. 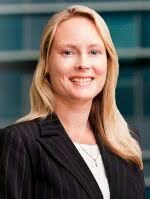 She also recently taught a comparative US/Australian Gender Law program at the University of Alabama. In 2017, Skye collaborated with the Victorian Women’s Trust (VWT) to produce a short film called Grace Under Fire. The film was launched by Chief Justice Diana Bryant, and is available to schools, workplaces and individuals who wish to host a screening. Skye has also worked with the VWT to develop a community education pack for national distribution. Skye is a regular speaker at national and international conferences and events, and also contributes to major Australian newspapaers. 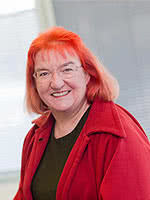 Skye also recently interviewed Dr Anne Summers AO as part of YWCA Canberra’s She Leads In-Conversation series. She was awarded the Chancellor’s 2017 Distinguished Young Alumni Award (University of Canberra). 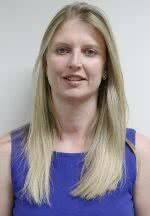 Prior to joining the Australian National University, Skye practised as an Employment Relations/Discrimination solicitor in a large commercial firm. Betty was co-opted to the Board in late 2007 following a resignation, then elected to the Board and Treasurer position in October 2008. 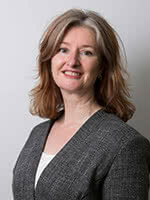 Prior to this, she had participated in the Finance Committee as a member of the organisation. After completing her term, Betty was re-elected to the Board in 2016. Betty’s strong financial expertise has been a welcome addition to the Board, and her continuing involvement in the Finance Committee is of great benefit. Marni was elected to the Board in 2016 after completing the 2015-2016 YWCA Canberra Board Traineeship Program. Marni heads up the Digital Engagement team at the Museum of Australian Democracy at Old Parliament House and has extensive experience in audience engagement, online communications and advocacy. Marni is a proud feminist and is deeply committed to human rights and equality. She has a Bachelor of International Communication from Macquarie University and a Master of International Law from the Australian National University. Adele was appointed to the Board in October 2018. She is currently the General Manager and Director of CentreRED IT and has previously held senior positions in several male-dominated industries such as Construction, Automotive, and Information Communication and Technology. She has the strong view that organisations and communities which embrace gender equality both improve the quality of life for women, provide broader community benefits through diverse views and sets a positive example for young women, encouraging them into what may have been previously male-only roles or positions. 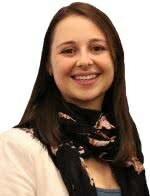 Sophie was a Trainee on the Board of YWCA Canberra in 2016-17 and is also a member of the Y’s Finance, HR and Membership sub-committees. She holds a Bachelor of International Relations and is studying a Master of Asian and Pacific Studies at the Australian National University. Growing up in Tasmania, she has always been passionate about the environment and currently works for the Australian government managing international fisheries stocks. Sophie volunteers her spare time as a tutor for young migrant and refugee women in the community and has recently used a Great Ydeas grant to establish a learn-to-ride program, Girls on Bikes. As a young woman with lived experience of mental illness, she is also a Youth Ambassador at Reach Out. Ashleigh has worked alongside groups including the Young Australians in International Affairs, Plan International Australia, the Campaign for Australian Aid, and began her career working with World Vision for four years in fundraising and youth advocacy at both a state and national level. She has a background in not for profits and is experienced in youth leadership, strategic campaigning, political advocacy. She was invited to run two workshops at the Youth Commission on the Status of Women (CSW) 2017 before attending NGO CSW in New York and joining the UN Women Youth Task Force. Ashleigh currently sits on the Australian Civil Society Coalition for Women Peace and Security and was part of Plan International’s Youth Activist Series, running the Girls Takeover in both 2017 and the State Government take overs in 2018. Her volunteer experience involves working on projects to empower young women, including the Gender Chat twitter series. She is a board trainee with YWCA Canberra and ran Future 21, Young Australians in International Affair’s annual conference in 2017. For this work, Ashleigh was named the ACT Woman of the Year 2018 and was listed on the Forbes 30 Under 30 Asia list. She is currently a Foundation for Young Australians Young Social Pioneer in the class of 2018. 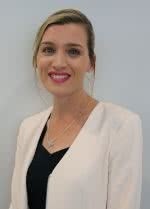 Ashleigh holds a Bachelors in International Relations/ Politics, an Honours degree in Politics, and a Masters in Diplomacy at The Australian National University. 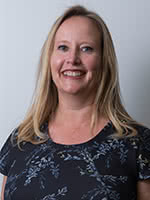 Nicole was appointed to the Board in October 2018. She is a qualified accountant and lawyer. Nicole was the Secretary of the Residential building (Canberra City) Executive Committee from 2013-2018 and the Chair of the Residential building (Lawson) Executive Committee from 2017-2018. Katie was appointed to the Board in October 2018. She has over 20 years’ experience in the not-for-profit sector and advocating and representing their value to members, government and other stakeholders. Katie also has strong financial and corporate management experience, including executive responsibilities for finance and budgeting operations, and strategic and business planning. Thieu Hue has collectively over 15 years’ experience consulting to the government and public sector working with EY, a global professional services firm and also as an executive level officer within the Australian Public Service, on budgeting & financial management and business case development on large-scale government transformation. She has also spent three years in Canada with EY, advising to Government clients on vision and strategy, implementation planning and program reviews to Provincial and Federal Governments in Canada. In 2012, Thieu Hue was elected as a board member with YWCA Canberra for nearly three years before she resigned in 2015 to relocate to Canada. During her time in Canada, she was actively involved in women’s network including Women in Defence and Security, member of the Women in Communications and Technology. Within EY Canada, Ottawa she was co-chair of the EY’s Professional Women’s Network and Ottawa’s regional lead for Entrepreneurial Winning Women Program. Thieu Hue is passionate about being a strong voice for women and empowering them to achieve both their personal and career goals. * Denotes young women (aged 30 years or under) at time of appointment. The YWCA maintains a commitment to ensuring that 30% of all leadership positions and decision-making bodies are held by young women.